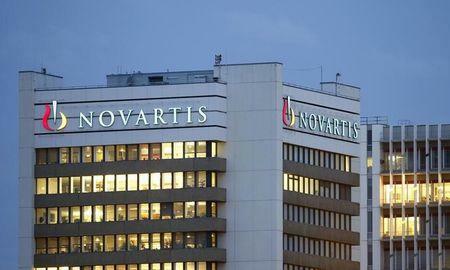 ZURICH (Reuters) - Swiss pharmaceutical group Novartis said the European Commission has approved its eyecare unit Alcon's Simbrinza treatment for glaucoma, a chronic, sight-threatening eye disease. Alcon said in a statement on Monday the Simbrinza eye drops suspension had been approved to decrease elevated intraocular pressure in adult patients with open-angle glaucoma or ocular hypertension. "We are pleased to introduce the only fixed combination therapy without a beta-blocker to help more glaucoma patients manage their progressive eye condition," Jeff George, global head of Alcon, said in the statement.